Sure, TCC offers Weight Training and the Fundamentals of Physical Activity, but this is more than PE classes. The program provides extensive training in communications, nutrition, marketing and anatomy and physiology. If you’re always checking your Fitbit to increase your steps, love to motivate others to exercise and encourage your friends to go for the Greek yogurt in lieu of that Snickers, why not consider a career in personal fitness? The U.S. Bureau of Labor Statistics predicts job opportunities for personal trainers will grow by 10 percent from 2016 to 2026, which is faster than the average for all occupations. 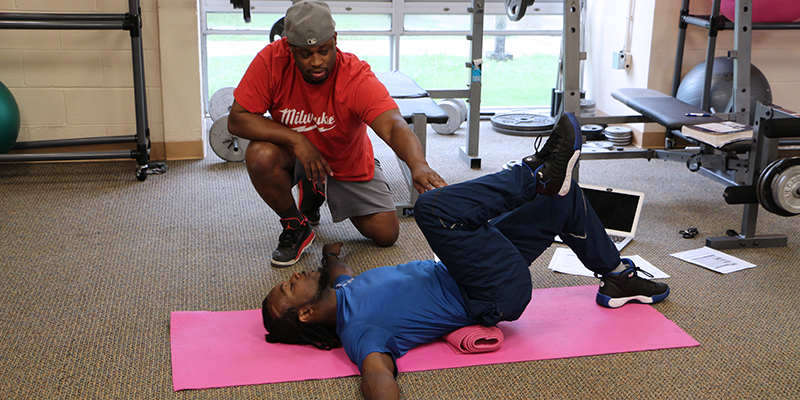 Complete Tidewater Community College’s Career Studies Certificate in Personal Fitness and Training in just two semesters and you’re ready to sit for a national credential exam. 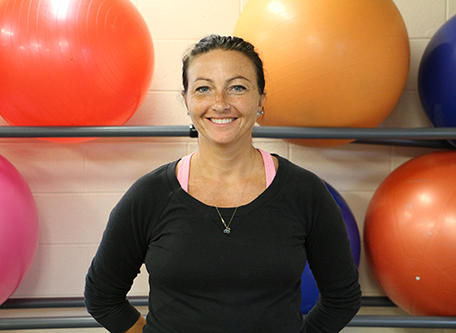 Rachel Thompson, personal training and fitness instructor at the Virginia Beach Campus. Sure, TCC offers Weight Training and the Fundamentals of Physical Activity, but this is more than PE classes. TCC’s program provides extensive training in communications, nutrition, marketing and anatomy and physiology. You will also receive hands-on training through required internships with local gyms and training centers. We’ll even help you find the perfect fit. Denise Brown (left) and a fellow classmate simulate client exercises in PED 168. 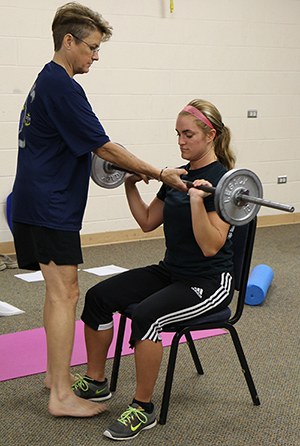 All coursework is based on the standards of the American Council on Exercise (ACE), qualifying students to sit for certification exams administered by ACE and the American College of Sports Medicine.